It's been a rough few weeks for the Eurozone. Portugal is still in trouble, Spain will be back on the coals after its Nov. 20 election, and if I were a bond trader, I would be shorting Belgium, which has serious deficit and debt problems, runs for months at a time without a government and is in some danger of splitting apart into its French and Flemish bits. A bailout package for Greece has been agreed to, but the Greeks are struggling to form a government to implement it. And yields on Italian bonds are moving ominously higher, rising above the 7% that some think marks a point of no return. So does this mean that a euro breakup and a Eurozone economic collapse are inevitable? In fact, of all the European nations in crisis, only Italy has the potential to take down either the euro or the global economy. At this point, Greece obviously is a goner as far as the Eurozone is concerned. Really, it should have been pushed out 18 months ago, when it was first revealed that the country falsified its figures to gain acceptance into the Eurozone in the first place. Its government deficit at the time was 12% of gross domestic product (GDP) – not the 6% it claimed, let alone the 3% it had agreed to abide to on its entry. French President Nicolas Sarkozy already has admitted it was a mistake to let Greece into the Eurozone, because the gap between its economy and the well-managed polities of Northern Europe was much larger than the area's other members. Former communist countries like Slovenia and Slovakia have integrated quite smoothly into the Eurozone, because their governments and people had already acquired the discipline necessary for membership. But since its entry into the European Union (EU) in 1981, Greece has lived on handouts, and raised its living standards artificially to a level two- or three-times the market value of its output. Exit from the euro is inevitable; Greece's problem cannot be solved in any other way. In fact, the sooner Greece exits the euro, the better. As it stands now, it's rapidly becoming impossible for Greece to get its debt down to a manageable level, since the country's official debt has been deemed untouchable. Once the EU leaders acknowledge the need to remove Greece from the Eurozone, the country's exit will be neither difficult nor damaging. The process of recreating the drachma will be similar to that followed in Slovenia, Croatia, and other ex-Yugoslav republics which abandoned the Yugoslav dinar in the 1990s. Inevitably, Greece will have to default on much of its debt, but it's already doing that now. So if it's handled correctly, Greece should not be a problem for the Eurozone or the world economy. The other smaller Eurozone weaklings aren't major problems, either. Ireland had a banking problem because of its immense real estate bubble, and the government got into trouble because it foolishly guaranteed the banks. However, Ireland's current account is now in surplus and its economy appears to have begun growing again – despite draconian austerity measures. Portugal, like Ireland, has replaced the government that caused the problem, which was largely one of public-sector overspending. However, it could run into difficulty again. Portugal's living standards (like Greece's, but to a much lesser extent) are higher than justified by its productivity, and its balance of payments is still heavily in deficit. It's in between Greece, which should definitely leave the Eurozone, and Latvia, which was able to bring its economy under control without losing its currency link to the euro. If Portugal gets in trouble again, leaving the euro will be much easier, and in the long run, better for its economy than forcing further austerity measures. Because it is so small, Portugal won't damage the Eurozone by leaving it. Instead, like Greece, it represents just a trimming at the edges. Spain's Nov. 20 election should produce a better government, committed to austerity. While it has a much lower debt level than Greece, Italy or Portugal, it combined a real estate bubble with government profligacy. If Italy stabilizes, the market's attention will revert to Spain, but it can probably survive with a dose of austerity and good government. Belgium is a basket case in terms of public debt, but the vast income it earns from the EU headquarters allow it to run a balance of payments surplus. It's badly run, and for long periods of time not run at all, but probably not an immediate threat to the system – and it would be bailed out if it needed it. Finally, we have Italy – the Eurozone's Achilles heel. Italy has slow growth and only moderate payments and budget deficits. Its high debt level is the result of decades of profligate government spending before Silvio Berlusconi came along. Berlusconi achieved less than he promised, but he cut government spending, raised the pension age and considerably improved Italy's finances. If he's succeeded by a capable center-right statesman, Italy should be fine, and the market panic should die down. However, with Berlusconi's coalition having lost its majority, and the president an aged leftist, there is a substantial chance of instability. If an election takes place that is won by the left, or if a "government of technocrats" that is in practice dominated by the left is appointed, then the corruption and special interests in the Italian political system may prevent necessary spending cuts and reforms, possibly imposing tax increases instead. Since Italy is already overtaxed, and tax compliance is among the lowest in the EU, higher taxes result in revenue loss and economic downturn that could tip the country over the edge. Also, since Italy is so large, the EU lacks the money to bail it out. Worse, its departure from the euro would destroy the currency and cause a major global recession. Our own economic health thus depends on the machinations of Italian politics. Still, in any scenario other than a complete Italian collapse, most of the EU will continue to do fine, although the Eurozone's growth will be constrained by bailout costs and austerity measures. Of course, non-Eurozone EU countries that are capably managed and have a labor cost advantage over Germany, France, and Italy should continue to do fine, benefiting from not having to pay for bailouts. For that reason, you might look at the Market Vectors Poland Fund (NYSE: PLND), which has suffered unjustified contagion from the euro mess and is trading on only 9-times earnings. [Special Investment Note: The Market Vectors Poland Fund (NYSE: PLND) was recommended to subscribers of Private Briefing, the premium edition of Money Morning, in the Sept. 28 research: "We've Handicapped a Winner of the European Debt Crisis." That Poland-focused exchange-traded fund (ETF) rose nearly 12% in the first five weeks after it was recommended and the position remains profitable — despite how meltdown-fears have roiled European-related investments. As of Tuesday, in fact, Private Briefing could boast of having delivered 30 winning picks out of the 44 recommendations the trading service had made since it was launched back on Aug. 11. Of those 30 winners, 12 were double-digit gainers and another 11 were up between 5% and 9.99%. Not bad for three months' work. To find out more about Private Briefing, just click here. 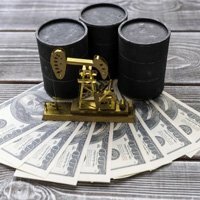 New subscribers get access to our archive of prior recommendations, as well as four premium research reports – including "The Silver Stock to Buy Now" … "How to Profit From $120-a-Barrel Oil" … and "Earn 8.5% While You Wait For This 50% Oil Gain." FIAT has a model called Panda. In their Italian factory one man year produces 37 cars. In their polish factory the figure is 120 cars. Salaries in Poland are much lower than in their italian factory. This shows the mismanagement in Italy for what it is. Uncompetitive! Italy has run a deficit for the past 37 years! Taxes are high but tax evasion is as much a "hobby" as it is in Greece. The EU is toast for sure! Your point is a good one. However, Private Briefing is doing very well for its readers. And we intend to do all we can to maintain that record. Hope we can hear from you often. We like it when our subscribers voice their thoughts. That's part of what makes Money Morning, and Private Briefing, such strong services. You suppressed my earlier comment, presumably because it dared to say that America was less than the best thing since sliced bread. Beware! Censorship is the recourse of a failing nation, that accelerates its fall. Your political analysis about Greece ("Getting Rid of Greece..") is ridiculous! I offer you a free hospitality to visit the country in order to be able yourself to publish fair reviews about the Greek people! Either the country will continue to be a part of the Eurozone, (and/or EU), either it will remove to the drachma, be sure yourself that the majority of Greek people will continue to work hard, and to be proud of their culture! What culture are you proud of? I am English and live in Italy. I would be interested to know your opinion of Britain's future – if it has one. We are being"race-replaced" and we know it. Vast numbers of the world's poor come to live in Britain and take up jobs, housing and enormous welfare benefits without working – which we cannot afford. Our democratic ideals have died under extreme left-wing government for too long and our PM is not truly right-wing at all. Many of us would like to leave the EU but we have never been consulted. What may and should happen? Like Rosemary I am also English and live in Italy, I would like to know your opinion of the UK. P.S. I am in perfect agreement with Ms Alabaster. This appears to be a well balanced and thoughtful article. I found it most helpful in understanding the severity of each country's problems and their likely effect on the world economy. The EU and the EMU are the results of political backstage conversations, of wich the bigger countries had the biggest voice. Most of the Europeans were not asked what their opion was on these matters or agreements. And as to be expected the hard working Europeans have to pay for the blunders of their politicians, but what is new in this world. Dear mr Hatchinson, I agree with you that Italy is the Achilles Heal of the Eurozone (as well as of international economy, since the consenquences of a default would serioully spread woldwide). But I think that you are misleading your readers about the impact on that political changes ca have on the crisis in Italy. When Berlusconi took office (from a centre left goverment) in 2001 he inherited a 5% positive primary surplus, and a debt/income ratio that was steadily coming down and was at 106. During his years on office public expenditure has increased in real terms of 2% a year, fiscal pressure has increased, no privatization, many one shot measures. The primary surplus disappered very soon and the debt ratio has increased at 120. Hi, like in Brittain; the worlds poor come to live in Australia and take up jobs, housing, and enormous 'handouts', welfare benefits and all sorts of perks without working! Why are governments doing this? My family and many others emigrated here after the war and had to work hard without any gov benefits and now they, their children and all other Aussies have to pay for "freeloaders" who are mostly "economic refugees" and not the really needy ones, as the latter find it hard to get here in the first place. Is there some conspiracy going on?